You can feel and experience the true remoteness of Nepal in this trek. How the people are living in remote areas, how their life style, culture and tradition really prevail, can be felt while doing this trek. For it’s remoteness, astonishing views and lively cultural traits, it’s becoming more popular among the visitors. It gives you a true sense of trek in the Himalaya. It also gives you an opportunity to see the villages of Tibet in distance. It’s a trek that you do with us which helps us help the poor and needy. Your contribution in helping the poor is greatly valued. Arrival in Kathmandu. Welcome and receive from the airport and transfer to Hotel. Briefing about the program. Day 03 : Kathmandu – Syabrubesi (1,460 meters) to acclimatise and overnight at a guesthouse. Day 04 : Syabrubesi – Goljung (1,960 meters) – Gatlang (2,240 meters) for overnight stay at a community lodge. Day 05 : Gatlang (2,240 meters) – Tatopani (2,240 meters) for overnight stay at a community lodge. Day 06 : Tatopani – Nagthali (3,300 meters) – Thuman (2,000 meters) for your overnight at a homestay. Day 07 : Thuman – Timure (2,240 meters) – Rasuwagadhi (2,240 meters) – return to Timure for your overnight stay at a community lodge. 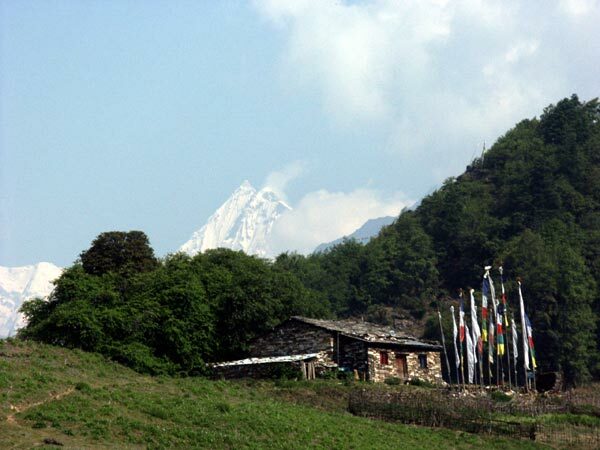 Day 08 : Timure – Briddhim (2,290 meters) for your overnight at a homestay. Day 09 : Briddhim (2,290 meters) – Syabrubesi (1,460 meters) for your overnight stay at a lodge. Day 10 : Syabrubensi – Kathmandu for your overnight at a hotel. Day 11 : As per the flight schedule, transfer to airport for final departure. Land transportation from Kathmandu to Syabrubesi and from Syabrubesi to Kathmandu by private Land cruiser.